Samir Pattni, O.D., is a graduate of the Illinois College of Optometry in Chicago, Illinois. His externship was completed at Chicago Osteopathic Medical Center. To further his specialization, in 1992 he began his practice at the El Paso Institute of Eye Surgery, where he gained extensive experience in treating Ocular Disease and management of care for post retinal surgical patients. Dr. Pattni is a Diplomate of the American Board of Optometry. He has been in private practice in Plano since 1996 specializing in Therapeutics, Contact Lenses, Low Vision and Refractive Surgery. He is an Optometric Glaucoma Specialist and prescribes medication for the treatment of Glaucoma as well as oral medication for the treatment of eye disease. Dr.Pattni volunteers his time in support of the Lions Club and Essilor Vision Foundation, providing complimentary vision screening services at inner city schools in the Dallas Metroplex. In recent years he has volunteered with Medical Wings International participating in medical missions to India, Honduras and Peru. The mission trips were taken with a volunteer team of Primary Care physicians, Dentists and Optometrists who coordinate their services to provide free eye and medical care to some of the poorest communities in these countries. 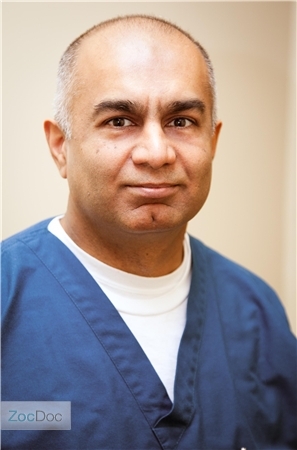 Dr. Pattni is fluent in English, Spanish and Hindi.